There's a new trend in town and this new modern technique of removing makeup with only water is a crazy hit in the western country and currently picking up in Korea. Personally, I knew that there's this microfiber cloth call the Makeup Eraser that does the same thing, removing makeup with just water but I've never tried that so I can't say much about it. As for these two, I found out about Face Halo first and watched Chloe Morello's demo and tutorial on her channel, thus knew a thing or two about such tool. 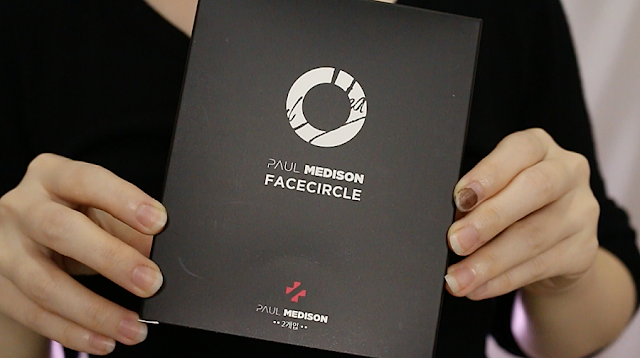 Never thought of trying it out until I saw that Althea Malaysia was selling a dupe known as Face Circle by Paul Medison. Immediately ordered both and kickstarted a battle between these two! 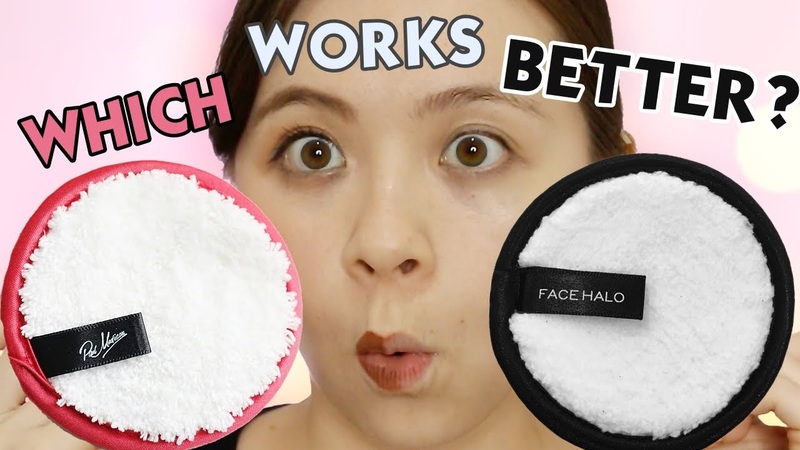 Watch my video to see more of Face Halo and Face Circle! 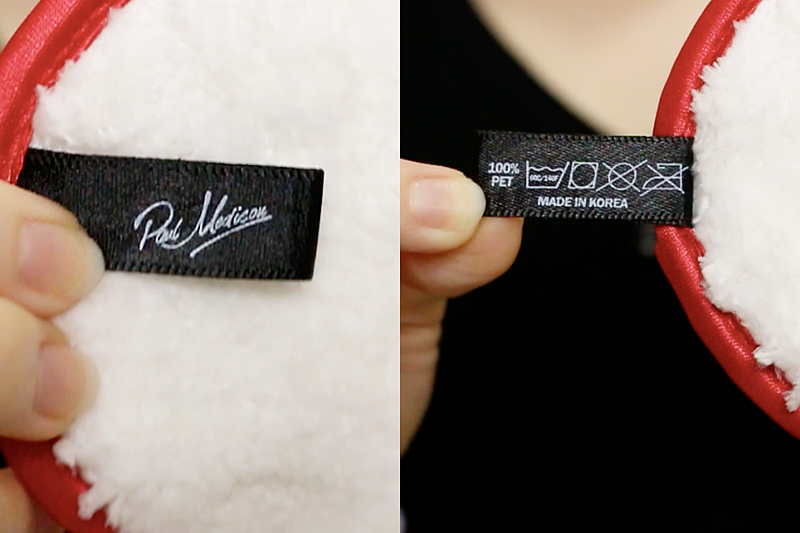 An Australian brand but product is also made in Korea. Comes in a pack of 3 that has HaloTech fiber strands (100 times finer than human hair) to reach deep into pores to remover and trap makeup onto the strands. 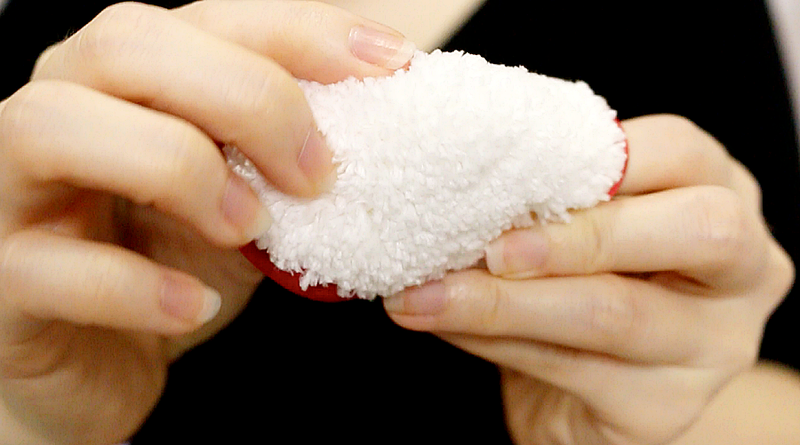 It's difference from Face Circle when it comes to the microfiber material use. Face Halo is 100% PES. I personally don't know what that means. Lols. Fluffy, cotton soft feeling, flexible but I realise a few strands of strings are coming off as I was using it. It was caught on video too. 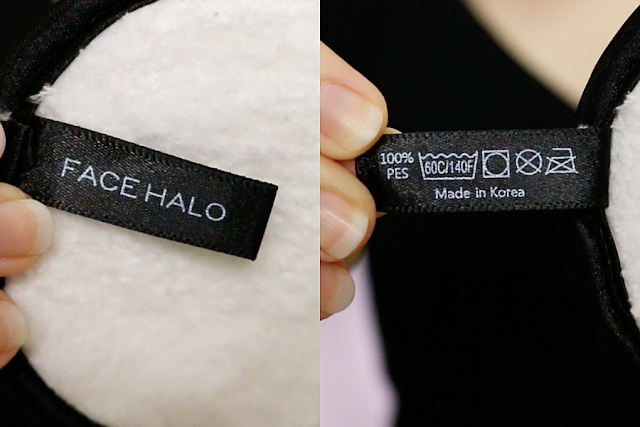 Korean brand that's also manufactured in Korea. Claim to be dermalogically tested and they are specially engineered using microfibers to gently but effectively remove dirt, makeup, and impurities. Face Circle is made from 100% PET, a different material from Face Halo I assume. Again, don't know what's PET material but feels quite similar to the touch. 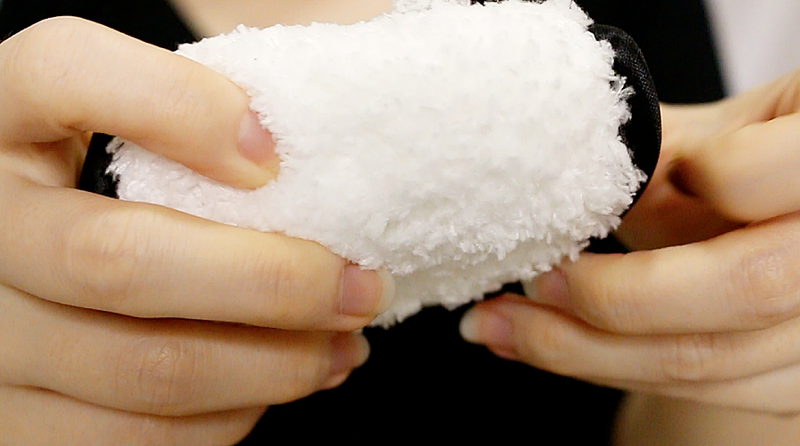 Same soft cottony feel but it's doesn't feel as fluffy as Face Halo. Face Circle is flatter while Face Halo is puffier. Both have same instructions when it comes to using and caring for them. Just wet them with warm or cold water (don't squeeze them too dry) and gently wipe off makeup. No need to scrub or rub your face. Can be washed up to 200 times, hand wash with soap or throw them in washing machine without fabric softener, softener will leave a coating that will reduce the effectiveness of the fibers. After washing, leave them to air dry. Easy. I've been using them for a while now since the day I recorded this video and I have to say both works equally well in removing my basic, simple, daily light makeup. I also find them much more convenient as to needing to whip out my micellar water and cotton pad as how I used to do it. Plus, I feel with these cloths, my skin don't feel as dry as using micellar water nor leaves any oily residue. Of course, with tougher, waterproof makeup, I still prefer to use oil based remover to speed up the process. I also feel that the Face Halo is a little bit softer on the face, I believe it's because it's a little fluffier as compared to the Face Circle. 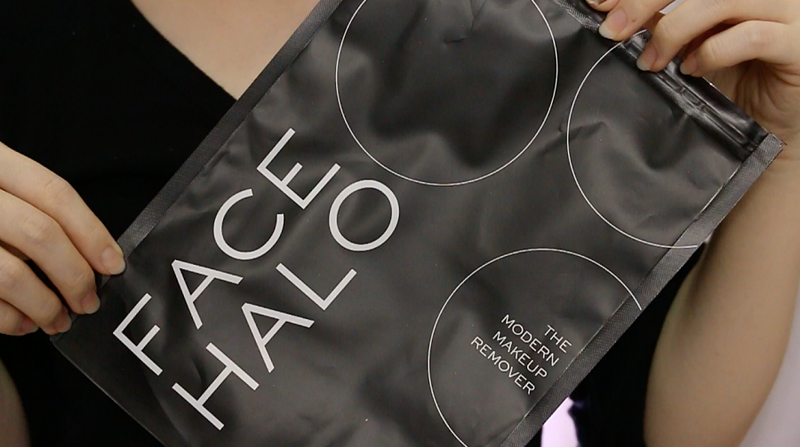 Though, Face Halo is slightly pricier as compared to Face Circle. Cleaning wise, I recommend using warm water to clean, it helps but if not, regular tap water temperature will do too. Overall, it's truly convenient and I really like using them both but if I have to pick, I prefer Face Halo as it feels softer on the skin.